You Don't Know Mac: The Mac & Cheese Festival... It's Coming! 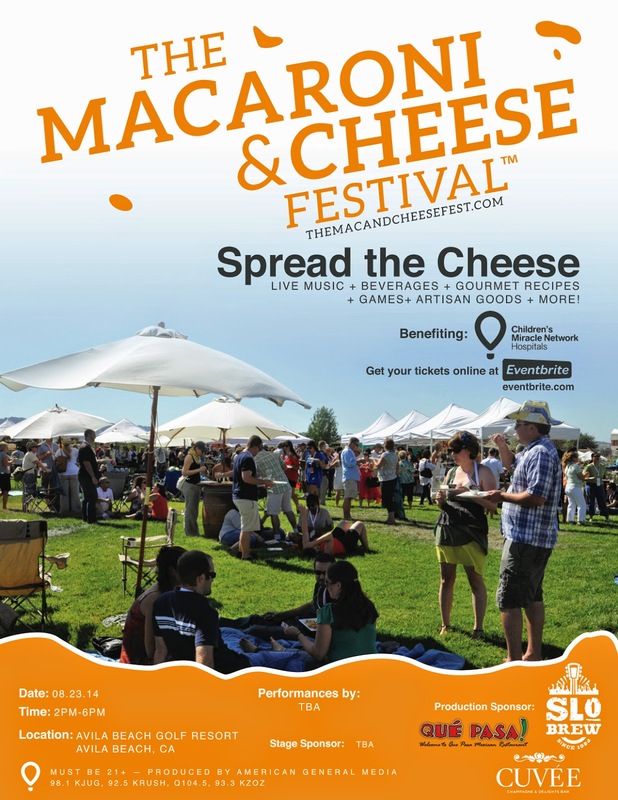 In less than two weeks, I'll be at the Avila Beach Mac and Cheese Festival! I've never been to the Mac and Cheese festival, but they have them all over the country now. Apparently there's a contest and you can vote on your favorite mac after your unlimited 1 oz. tastings at the different vendors' booths. There's also live music as well as beer and wine tastings by local breweries and wineries. It's going to be a blast! You can fully expect a big post about it when I'm back. Who knows, maybe I'll even have to live Instagram it, or start a Twitter account for this blog so I can live tweet it!